A new U.S. Geological Survey-led study suggests that earthquake-related deformation just below the Earth’s surface can be quite different from how it is expressed at the surface. Scientists using laser images of grapevine rows deformed by the 2014 South Napa earthquake have found that the amount of surface displacement caused by the earthquake could be significantly less than estimates of the actual slip across the fault plane. The laser images show the amount that the portion of a vine row on one side of the fault was shifted horizontally with respect to the portion on the other side. The findings are important because they provide unprecedented details of the process of earthquake-related fault slip reaching near the Earth’s surface, the place where structures are built and where people reside. The team used computer models to relate the measured surface distortion to fault slip at depth and verified their results with trenches cut across sections of the West Napa Fault that produced surface disruption associated with the 2014 earthquake. 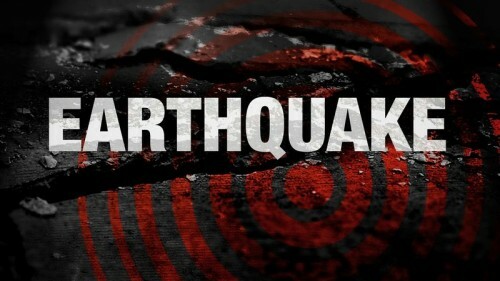 “If fault slip at a couple of meters’ depth could be different than slip right at the surface, and we can infer that using these types of high-resolution laser images and slip models, then we can use this information to make better estimates of the rates at which faults slip over multiple earthquake cycles,” said lead author USGS geophysicist Ben Brooks. This, in turn, would lead to more accurate seismic hazard assessments and improved methodologies for mitigating and monitoring the possible interruption of underground infrastructures such as pipelines by near-surface faulting. The multi-institutional team, including researchers from the California Geological Survey and geological consultants, used the same type of LIDAR (Light Detection and Ranging) laser technology that is mounted on the roofs of self-driving vehicles for navigation. Before the ground-based laser scanning technology employed by the authors became available, geologists had to rely on satellite-based measurements of ground deformation that could only be made with much less spatial resolution and less frequently — measurements which wouldn’t have revealed the detail necessary to make the study’s breakthrough. “What’s so exciting about these new imaging technologies is that we can now learn how much earthquake slip happens very close to the surface, which is where all the people and infrastructure are located,” said USGS geophysicist and co-author Sarah Minson. 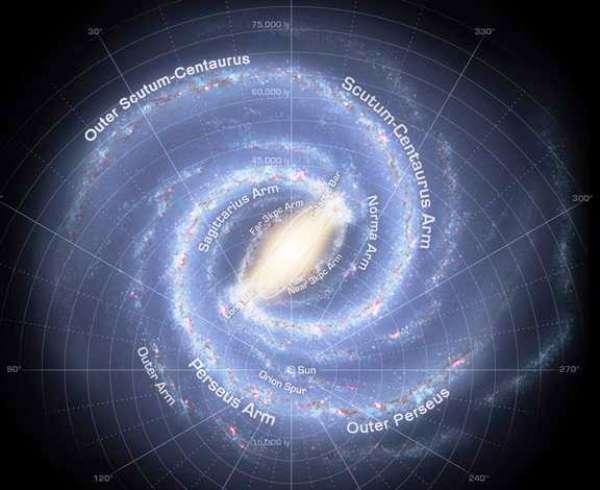 The Sun is located inside one of the spiral arms of the Milky Way galaxy, roughly two-thirds of the way from the galactic center to the outer regions. Because we are inside the galaxy, obscuration by dust and the confusion of sources along our lines-of-sight make mapping the galaxy a difficult task. Astronomers think that the galaxy is a symmetric spiral, and about 10 years ago, CfA astronomers Tom Dame and Pat Thaddeus, using millimeter observations of the gas carbon monoxide, discovered symmetric components to the spiral arms deep in the inner galaxy that lent support to this model. The researchers have a theory. 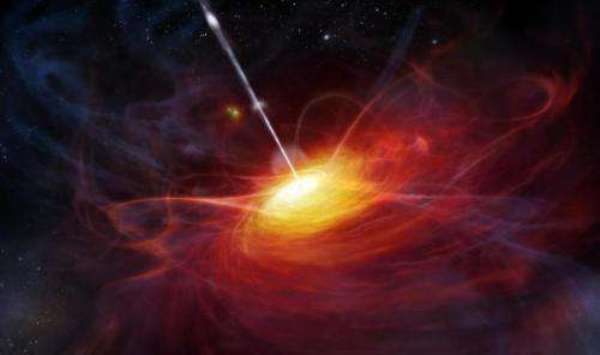 They think the quasars are peeking out from deep holes in each galaxy, a debris-less vacuum that allows light to escape amid the cloudy surroundings. The specific shape of these galaxies is unclear because even ALMA isn’t powerful enough to provide a clear look at regions of the cosmos where light being detected was emitted 12 billion years ago, when the universe was roughly one-seventh its current age. But the team imagines the galaxies may be doughnut shaped and oriented in such a way that their holes (and, thus, the quasar) can be seen. 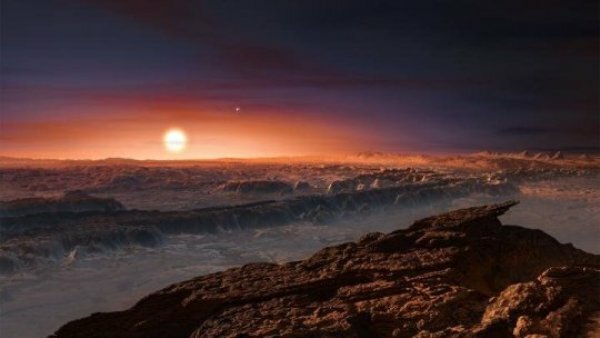 Proxima b, an Earth-size planet right outside our solar system in the habitable zone of its star, may not be able to keep a grip on its atmosphere, leaving the surface exposed to harmful stellar radiation and reducing its potential for habitability. NASA has conducted such preparedness drills rehearsing various aspects of an asteroid impact, such as deflection, evacuation, and disaster relief, with other federal entities in the past. 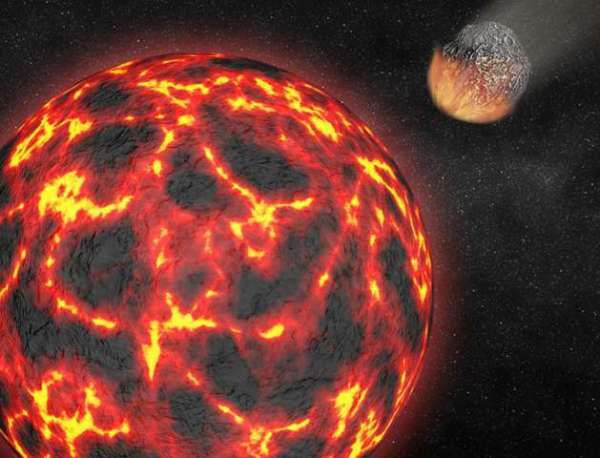 Traditionally, however, these exercises involved hypothetical impactors, prompting Vishnu Reddy of the University of Arizona’s Lunar and Planetary Laboratory to propose a slightly more realistic scenario, one that revolves around an actual near-Earth asteroid, or NEA. 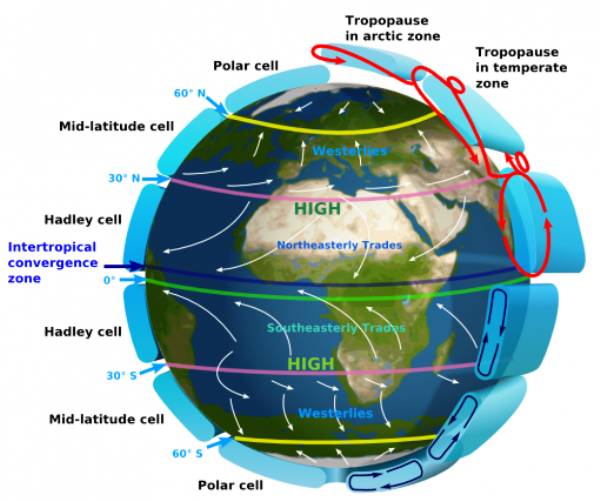 The goal of the TC4 exercise is to recover, track, and characterize 2012 TC4 as a potential impactor in order to exercise the entire system from observations, modeling, prediction, and communication. Measuring between 30 and 100 feet, roughly the same size as the asteroid that exploded over Chelyabinsk, Russia, on Feb. 15, 2013, TC4 was discovered by the Pan-STARRS 1 telescope on Oct. 5, 2012, at Haleakala Observatory on Maui, Hawaii. Given its orbital uncertainty, the asteroid will pass as close as 6,800 kilometers (4,200 miles) above Earth’s surface. “This is a team effort that involves more than a dozen observatories, universities, and labs across the globe so we can collectively learn the strengths and limitations of our planetary defense capabilities,” said Reddy, who is coordinating the campaign for NASA PDCO. Since its discovery in 2012, the uncertainty in the asteroid’s orbit has slowly increased, as it would for any asteroid as time passes. Therefore, the first order of business will be to “recover” the object—in other words, nail down its exact path. Reddy and his collaborators hope that depending on its predicted brightness, the asteroid would be visible again to large ground-based telescopes in late August. The UA is home to the Catalina Sky Survey, one of the most prolific asteroid discoverers, and the Spacewatch project that recovers and tracks faint NEAs. Both teams will take part in the planetary defense exercise.